I’ve been pretty busy over the end of August and start of September because I started two placements in the tech industry. Both experiences were incredibly insightful, I definitely left both with new skills and knowledge on the development as well as the more commercial side of the industry. Adjusting to the two different companies – two totally different environments – was an interesting experience too! I wrote a blog post about my placement with TechDept here if you’re interested in finding out what I got up to! Development – Learning and applying! Anna and Jon Bollinger (Directors of Appt) organised a week of activities I could get involved in. My days were structured in a particular format. I spent my mornings “shadowing” the developers on their projects followed by an afternoon “tutorial/do it yourself” session where I spent my time attempting to make something out of everything I learned that morning. Unity #2: Created a 3D globe that can rotate on key press. A page made in the templating language pug and flex box! I found learning some of the concepts challenging (especially back-end development) but it was such a great learning experience and something I want to keep pushing myself to understand. Throughout my time the developers supported me and gave me great guidance on how to approach each language which was incredibly helpful. You can’t beat having an awesome support group! All in all, front-end development is always going to be something I enjoy doing and having fun playing around with. In addition to the techy-stuff, I also had a chance to explore the company’s growing social media management consultancy side. I shadowed Line, who gave me an overview of the marketing/PR/social media management is run at Appt. I also had the chance to share my ideas and suggestions using my experience working in Communications over the past year as an example. It’s awesome what you can build up from experiences such as a “click” on a new way to market things. On a related note, I took part in a Marketing meeting with Anna and Ruth. It was great to see the creative process of their marketing strategy! I learned about the importance of SEO which I have kept note of and will definitely make use of! With Appt recently branching in China, I even got to explore Chinese communications. I found learning about the different ways the communication channels work there incredibly interesting. It made me think more creatively of the other ways to engage a whole different market! … This *has* to be the highlight of my time with Appt. Anna invited me to join her on her podcast with BirchenallHowden’s “Unravelling Tech” 78th episode. 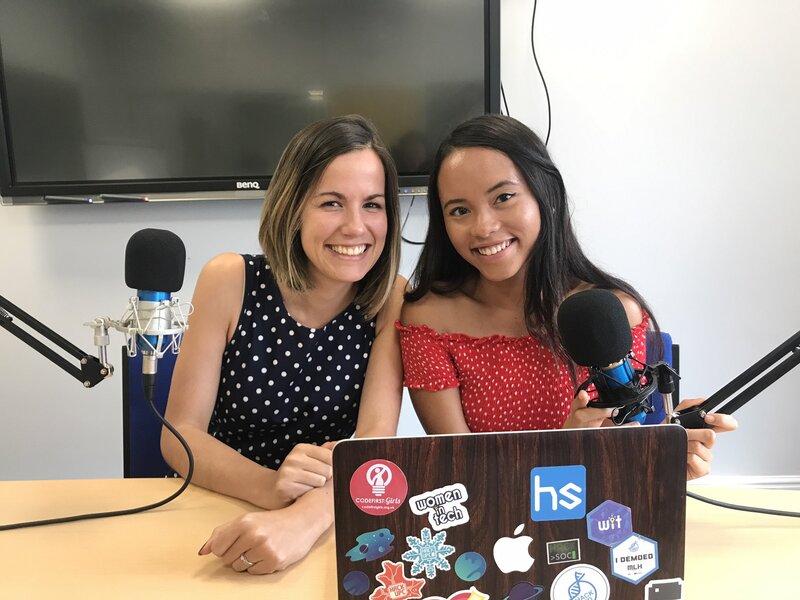 This week the topic of Women in STEM which was perfect for both me and Anna, being women in the industry. I gladly accepted! After feeling super nervous before starting, knocking over the mic a few times, getting over the shaky introductions and talking for an hour – I did it! It was a wonderful experience! I’m still surprised that I actually spoke for an hour and that it didn’t turn out terrible – in fact, I really enjoyed it to the point I was like to Anna: can we do it again? can we keep talking? wow? That was great?!!! 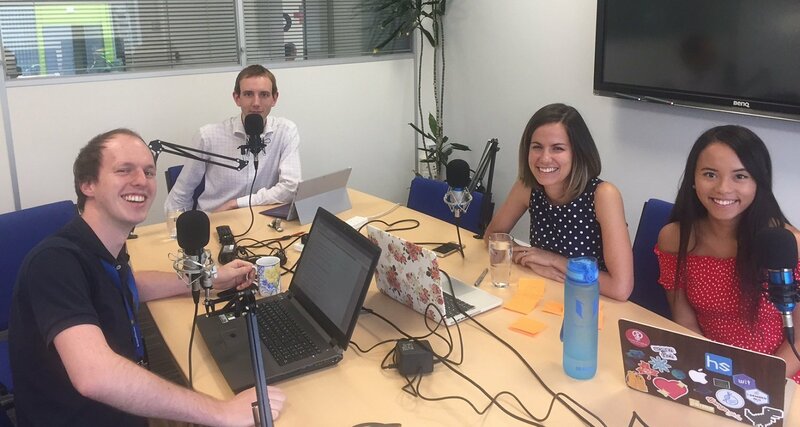 We talked about the Google incident and why the gender gap exists and how we can act on it. If you’re interested, you can listen to the whole podcast here. Both placements were such an insightful experience, I definitely left both with more of a direction to pursue in terms of my career development and personally too e.g. languages I want to get better at and use in my projects. 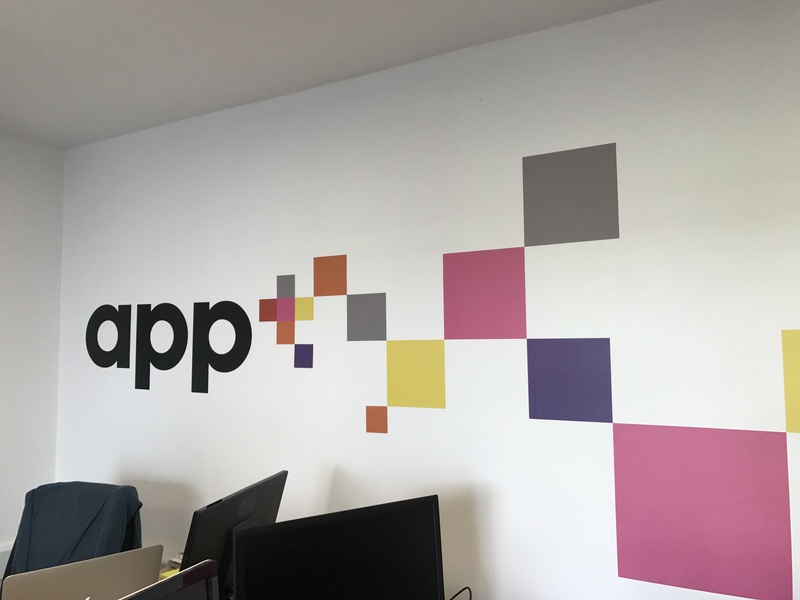 I thoroughly enjoyed working at Appt, by the time I completed my placement I was actually quite sad leaving the office despite only being there for a short period of time. The team were so kind, welcoming and genuine; I felt like I joined a little family. Having the chance to apply my coding knowledge and hobby over the summer has been such a great experience that has helped me strengthen my awareness of what sort of skills and knowledge is needed in development as well as understand the nature of the ever-changing techie-world. ‼ On an unrelated note, ICYMI: I’ve shared this all over social media but Hamdah and I are filming our first Q&A together next Thursday, be sure to leave us a question below or complete this form if you want to ask a question anonymously. I’m only getting round to listening to the podcast now as I’m on a train to SEE YOU! So I probably won’t finish it before I do see you, but I already know it’s amazing 😋 YOU’RE FAYMUUSSSSS. It’s good to see that your placements are challenging you in a good way – definitely looks like they’re paying off! “With Appt recently branching in China, I even got to explore Chinese communications.” <– OOH GURL, THIS IS TO DO WITH MY DEGREE. This makes me happy, haha. SEE YOU IN ABOUT 15 MINS GURL. Look at you, starting two placements this month! Sounds like you’ll gain a ton of exposure over the two different environments. They’re having you dipping your hands across a good amount of languages and platforms! Front-end development is definitely something fun to work with – you get to blossom your creativity to the max :). Glad to see you having a valuable experience so far. The next question is – how will you leverage your knowledge from tech into biomed? 😉 😉 Just kidding, this sounds like hella intellectual/top secret property I’m trying to touch XD. I admire anyone that can go and make apps or are in the field of technology. It’s amazing, honestly. Aw, Pauline, I’m so proud of you! Not just one but TWO placements?! You go, pretty lady! I’m incredibly impressed that despite being a Biochemistry major, you’re also gaining great exposure in the world of code. Also, definitely checking out and dropping a question or two for your Q&A – can’t wait for it! Ahhhh so jealous that you’re so tech savvy! This looks like a fun company to work for. We’ve been playing with an idea for an app, so we might just have to give you guys a call sometime soon! Awesome! Give them a look at: Appt.so! 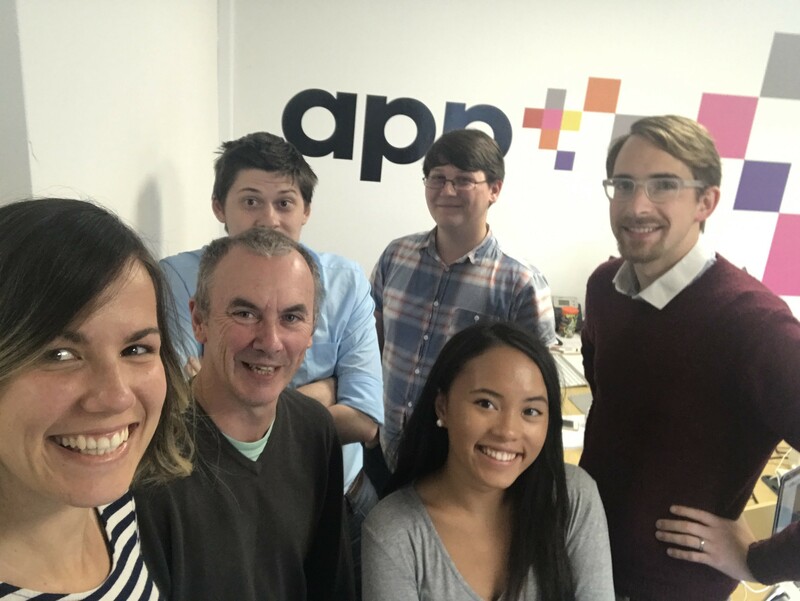 It sounds like you had a great time at Appt and it’s awesome that they had planned out lots of things for you during your placement (unlike when we have interns/work experience people in!). I think it’s fascinating observing other developers as they work, but nothing helps me learn more than getting stuck in myself. Big question is, do you prefer LESS or SASS?! I use LESS at work, which I learned on the job, but I’ve started the SASS course on Codecademy so soon I’ll be able to have a valid opinion on this debate! I’m definitely going to listen to the podcast! It sounds right up my street. I’ve played around with SASS a lot personally but I started learning LESS on the job and I like both of them really 😊 Though I felt like LESS was easier to pick up! Glad you enjoyed your placements! It’s so great to see you succeeding at something you love. Keep being amazing, Pauline! It’s lovely that the team you worked with were so supportive. It sounds like you learned a lot from them and had some amazing experiences. Ngl I didn’t know what half of those things were that you listed. I definitely need to work on my coding skills! I listened to the podcast at the weekend! You were great, Pauline. I definitely wasn’t that confident when I was at uni. I remember going to a networking event and the only conversation I had was about carrot crisps. I can’t believe you’re already so great at speaking at events and getting your opinions across at such a young age. You’re seriously so inspirational, Pauline! I loved hearing about your experiences in the podcast! 1. What’s the best present you’ve got each other? 2. What’s your favourite memory together? 3. If money wasn’t an issue, what would you buy Hamdah, and what would Hamdah buy you? 4. Why do you think you’ve been friends so long? I can’t wait to answer these questions! Whoo go Pauline! Congrats on your accomplishments. I think it’s great when we can take away from an experience in positive ways. Sounds like you learned tons! Which is super exciting! And it sounds like you got to do a lot of hands-on experience, which is great. I asked some questions! A couple are individual-based that I figured you guys could answer together and the other was more best friend oriented. If I think of any more, I’ll be sure to ask! Wow 2 placements?! That sound super busy! I heard about Fave app before. Is that the one that used to be called as Groupon? I do enjoy being a busy bee! Congrats on getting the two tech placements! I think that’s so cool that you did multiple projects using different technologies. That sounds like a great learning experience! That’s great that you had such good experiences at both placements! Congrats on your two placements girl! I’m currently listening to your podcast now, not only because you’re in it, but I was more interested in the reactions of someone outside of my local area regarding this “echo chamber manifesto” incident in a huge tech company not too far from where I live (Google). Then again, as a local, this isn’t something new because we’ve had gender discrimination cases like these in the tech industry (Uber, notably), and it’s still frustrating because this is taking place in one of the U.S.’s most historically “liberal” states. I actually thought about writing this on my blog (not TAL, but on The NINPOJineous), but life got in the way, as always. I’ll eventually write about my thoughts on this issue one day. You may be interested in reading Ellen Pao’s upcoming memoir Reset. In case you haven’t heard of her, she was the former CEO of Reddit who was also known for losing a sexism/sexual harassment lawsuit against a venture capital that she used to work with. You can read an excerpt of the upcoming book here. Speaking of Unity, my younger sister started working at the Unity HQ (San Francisco), in their accounting/treasury department. I love playing video games and even imagined me creating a video game of my own based on my crazy unwritten stories. When she told me about her new workplace and the product that they work on, I listed learning Unity as one of my goals haha. Sounds like an amazing experience! =3 You really can be quite inspiring! This is amazing. You must so proud. I like your updates, it feels like you are so involved and happy with your work, it’s a delight to read. It’s great that you are able to do “out of major” placements and internships!! I really wish I did some of that while I was in college. I was so focused on my major (Special Education), that basically everything I did was related to Disability, Advocacy, Teaching, and learning about all the above. I don’t “regret it” in the sense of regretting the summer work at summer school for kids with sever disabilities, student teaching in various special education classrooms, volunteering for nonprofits and tutoring organizations, and working as a substitute teacher, but I do wish I didn’t give up coding while I was in college. I had no idea that it was a thing I could still do even if it had nothing to do with my “actual” career (which turned out to be a non-career in the end anyways!). College is such a great time to focus on whatever you want, and a get a sampling of everything so you can make an educated choice about your future. 🙂 Good luck with your upcoming placements!! !